Why do companies like Wal-Mart, P&G, Pfizer, HP, and Boeing struggle to compete in the current business environment while others like Apple, T.J. Maxx, and European retailer, Zara, succeed beyond all expectation? Read The Supply Chain Revolution to learn the new supply chain and sourcing techniques these high-performing companies are using to gain the advantage in their markets. Once dismissed for being “boring,” supply chain and sourcing have come into bloom in this digital, global world. Just look at Apple’s exponential growth after Steve Jobs made supply chain enhancement a priority. He brought in Tim Cook for the revamp, and Cook and his supply-centricity have been leading Apple to success ever since. Another example of the revolution underway is TJX Companies, the parent of retailer, T.J. Maxx. Their agile sourcing model has led to an unboring market valuation of nearly $50 billion. Companies today face a shrinking range of options as tactics like incremental product innovation, marketing, and geographic expansions lose their potency. Suman Sarkar shows how the future lies in new and different approaches to supply chains and sourcing. 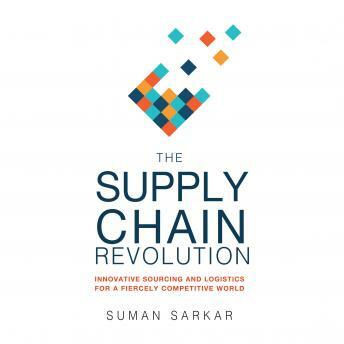 Using case studies of world-leading companies and more than two decades of hands-on consulting experience, Suman Sakar highlights what makes supply chain and sourcing such powerful weapons in business today. And he provides a simple and practical guide for how companies can start wielding them to their advantage. The more technology and new business models continue to disrupt current businesses, the more strategies companies need in order to adapt, anticipate, and succeed. Read The Supply Chain Revolution to arm your company with powerful new techniques for competing in these challenging times.